EduKick Inc., the leader in educational and sports experiences for youth abroad, opens enrollment for a unique Hebrew language immersion course and soccer training camp this summer in Israel. As president of EduKick Inc. and a Jewish-American, I am very proud to offer other Jewish families this unique opportunity in Israel. EduKick Inc., a leader in educational and sports experiences for youth abroad, opens enrollment for a unique Hebrew language immersion course and soccer training camp this summer in Israel. "We are very excited to announce the opening of EduKick Hebrew Language Immersion Summer Soccer Camp in Israel," said Edukick co-founder, Corey Zimmerman. "As president of EduKick Inc. and a Jewish-American, I am very proud to offer other Jewish families this unique opportunity in Israel." Hebrew Language Immersion Summer Soccer Camp Israel is designed to combine world-class soccer training with full-immersion Hebrew language studies for boys and girls ages 10 to 18. The twenty-day camp kicks off in August of 2007. 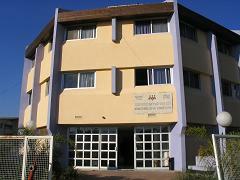 Tuition includes transportation while in Israel, room and board, daily soccer and language tutoring, regular cultural excursions, and social activities. 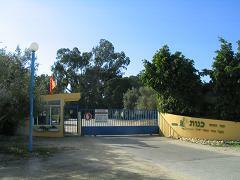 Students will stay in the heart of Israel, forty minutes from Tel Aviv and Jerusalem, at Kannot Youth Village, a gated agricultural community for youth. Continuous, professional security will be provided at Soccer Camp Israel and during all cultural outings. EduKick has teamed up with Israel Experts, the leading provider of educational tours in Israel, to provide professional bilingual instructors and coaches for their Israeli Soccer Camp. The Hebrew language immersion courses offered at Soccer Camp Israel make every effort to surround kids in the Hebrew culture. From the duration of their stay in Israel, camp participants will achieve maximum fluency by hearing and speaking the Hebrew language constantly. Soccer training at the Israeli camp will be coached by former professional Israeli soccer player and longtime youth coach, Mr. Paritzky Isaac. Paritzky has fifteen years of experience training young soccer players and has served an instructor in Kannot Youth Village for twenty five years. In addition to a minimum of two hours soccer training each day, Edukick youth will compete with Israeli youth teams whenever possible. Combining Hebrew language instruction with high-level soccer training in such a unique setting promises a once in a life time opportunity for children. 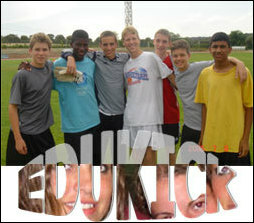 Visit http://www.EduKick.com to learn more about Soccer Camp Israel and to enroll for summer 2007. EduKick Inc. strives to provide intensive soccer training programs that also teach youngsters about cultural diversity and foreign languages. As professionals, soccer fanatics and fathers, Joseph Bilotta and Corey Zimmerman wanted to create programs that maximize youth's time abroad; instilling a sense of independence and pride through experiencing international travel, structured language study, cultural excursions, and professional soccer training. SmartPR Authoring and SEO by Xeal Inc.